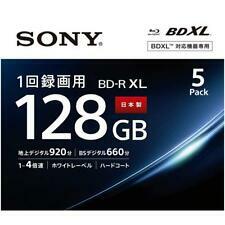 Sony BluRay 100 GB BD-RE BDXL 3D Bluray 10BNE3VCPS2 FROM JAPAN NEW. Capacity: 700MB 80min. Speed: 48X. Logo Top Surface. Capacity: 700MB 80min. Speed: 48X. Logo Top Surface. Quantity: 50 pieces. Capacity: 700MB 80min. Record digital music and audio in the standard compact disc. in CD White Paper Sleeve. DESIGNED FOR DIGITAL QUALITY SOUND. Write once CD. Speed: 16X. Silver Logo Top Surface. 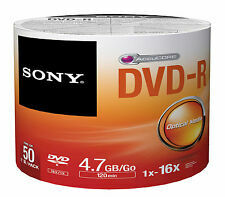 Type: DVD R. Compatible for playback with most DVD video players and DVD-ROM computers drives. Speed: 16X. White Inkjet Hub Printable Top Surface. 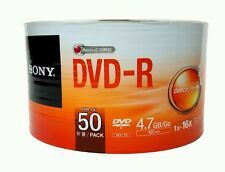 Type: DVD-R.
Capacity: 700MB 80min. Record digital music and audio in the standard compact disc. DESIGNED FOR DIGITAL QUALITY SOUND. Write once CD. 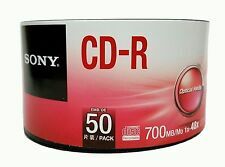 Type: CD-R. They are DDS-2 AND DDS-3 Compatible. Capacity: 4.7GB 120min. Speed: 16X. Logo Top Surface. Trending at $18.75eBay determines this price through a machine learned model of the product's sale prices within the last 90 days. Part Number: 25DPW47SP. Type: DVD RW. Compatible for playback with most DVD players and DVD-ROM drives. Space and Capacity: 700MB, 80Mins. Quantity: 100 Pieces 100 White Paper Sleeves. Logo Surface. Space and Capacity: 700MB, 80Mins. Speed: 52X Max. 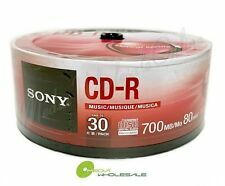 Sony Logo Top CD-R Disc. Manufacturer: Sony. Quantity: 100 Pieces. We reserve the right to correct any typos. Capacity: 700MB 80min. Speed: 48X. White Inkjet Printable Top Surface. Quantity: 300 pieces (6 x 50pk). 700MB, 80Min,10 Pieces. Space and Capacity: 700MB, 80Mins. HP Logo Surface. 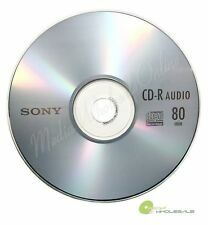 Professional Grade CD-R Disc. Quantity: 10 Pieces. 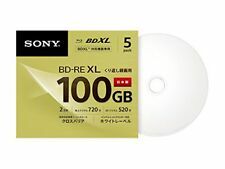 Sony BLANK CD-R/ Recordable Media Disc 700MB Condition is New. Shipped with USPS Priority Mail. This is a black Sony MPF920 Internal Floppy Drive. We are Galactic Flea Market based out of Denver, Colorado. We are family owned and operated. Sony LTO 4 Tape Media. Condition is New. Shipped with USPS Priority Mail. 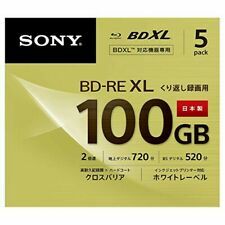 NEW SEALED SONY SDX1-25C 25/50 GB Data cartridge 5 Pk - FREE SHIPPING!! All are sealed. Each box has 10 disks, for a total of 50 disks! One plastic seal is a little loose on the side but seems intact and unused. A little dirty on the outside but should be perfect inside! Sony 16GB USB White 2.0 M1 MicroVault Series USB Flash Drive w/ LED Indicator compatible with any device that uses Type A USB. Compact MicroVault USB Flash Drive design. Hi-Speed USB 2.0 connection. Built-In LED Indicator. 80 Min Rewritable. Multi Speed 1x 2x 4x. 12.7mm (does not fit 9.5mm drive). NEW White Sony 16GB Micro Vault USM-M USB Flash Drive. Capacity 16 GB. Windows 7, Vista, and XP (SP3 or later) Mac OS X 10.1 - 10.7. Mac OS X 10.1-10.7. Two year Manufacture Warranty from Sony. System Compatibility Windows 7, Vista, and XP (SP3 or later). Trending at $46.02eBay determines this price through a machine learned model of the product's sale prices within the last 90 days. 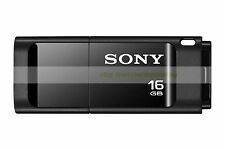 Sony 32GB USB 3.1 X Series Microvault Black with speeds up to 110 MB/s. Compact MicroVault design - Black. Sony LTO UItrium 5 tape.1.5TB Native Storage. 3TB compressed Storage. Price is per tape. · Buffer under-run Protection. Sony DRX-S77U. · Max 8x DVD read/write. 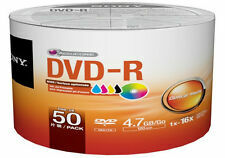 DVD R : 8x. Key Features DVD R DL : 6x. DVD RW : 8x. · Max 24x CD read/write. Sony LTO 4 Ultrium Tape LTX800G. Capacity: 700MB 80min. White Inkjet Hub Printable Top Surface. Quantity: 50 pieces. Type: CD-R.
No other accessories included. We'll be happy to assist you as soon as possible. No Local pick-up. SATA TAPE DRIVE. ACS is all about computer data archiving products for any storage needs to protect your vital data from any type of disaster. SONY AIT-2 Turbo. No Local pick-up. We'll be happy to assist you as soon as possible.